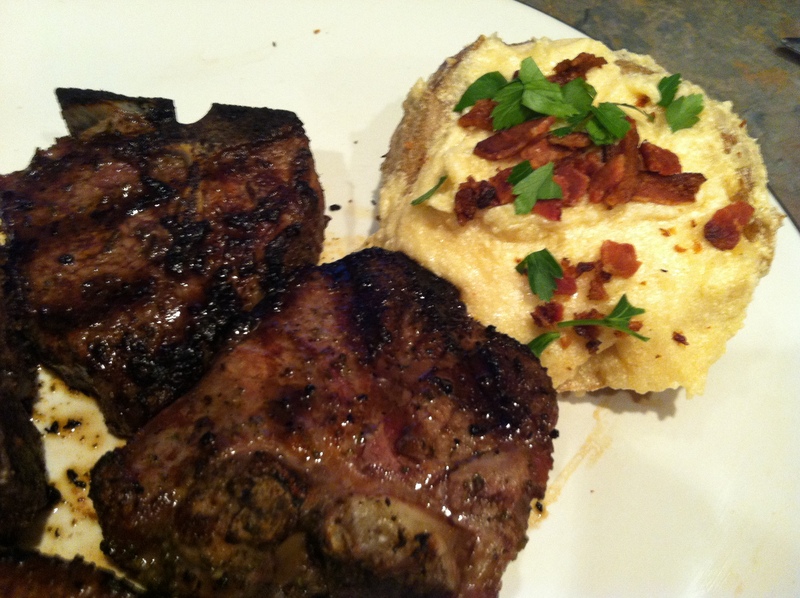 In yesterday’s post I mentioned that I served my grilled lamb chops with a side of grilled twice baked potatoes. So today I am sharing that recipe. It has a unique blend of flavors by using ricotta cheese, asiago & parmesan. 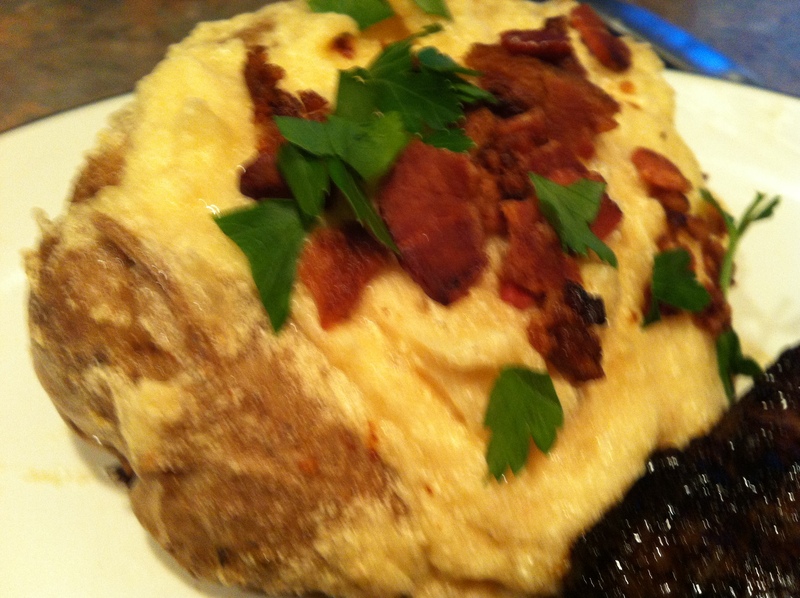 Typically you find that most twice baked potatoes are made with sour cream. Grilling them makes the skins super crispy and tasty and the inside ultra creamy! For this recipe I do not typically measure my ingredients so I’ve listed in the recipe below what I feel is a good starting point. It is best to taste as you go and adjust your spices and cheese according to your own taste. These definitely go well with any meat dish and are a nice change from the usual kinds of potato sides that you come across! Prepare potatoes by washing and scrubbing with a vegetable brush. Bake potatoes in preheated oven for 45 minutes-1 hour (or until fork inserted into potato goes in easily). Remove potatoes from oven and allow to cool for 10-15 minutes. Cut a small circle in one side of each potato and scoop out the insides. Place the insides in a mixing bowl. To the potato insides, add the salt, pepper, garlic powder, smoked paprika and ricotta and mix on medium speed until smooth. 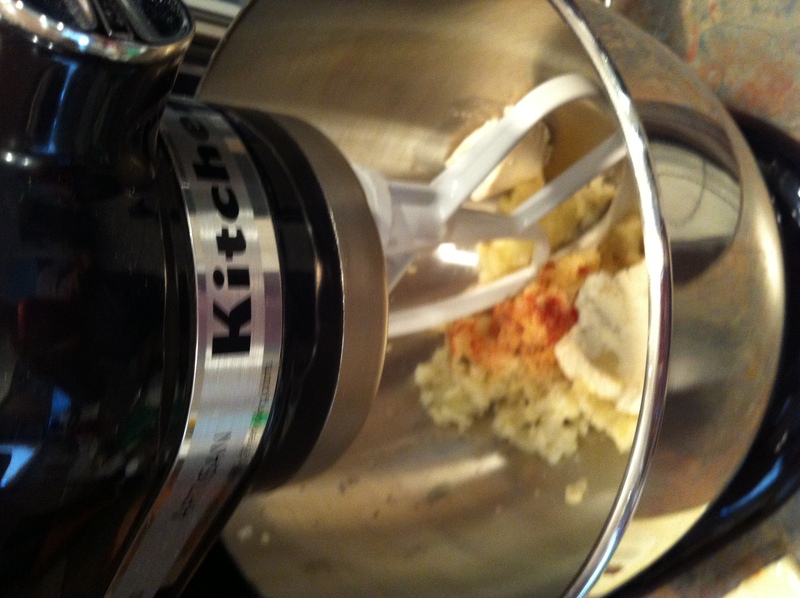 Add the asiago and parmesan cheeses, mixing again until well combined. Add the potato cheese mixture back into the potato shells. Wrap each potato in foil and place on the grill over medium heat for 10 minutes. Place the bacon on the grill as well and cook until crisp. You can add this at the same time as the potatoes over indirect heat and they will both be done at the same time. 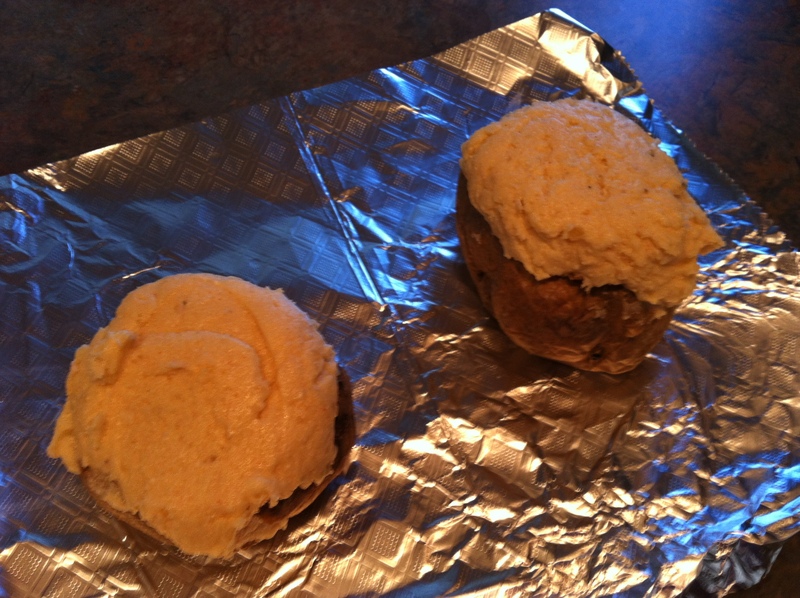 When potatoes are done, remove from foil and carefully scoop back any filling that may have melted out and over. Crumble the bacon and add evenly over the potatoes. Finally, top each potato with the chopped fresh parsley.